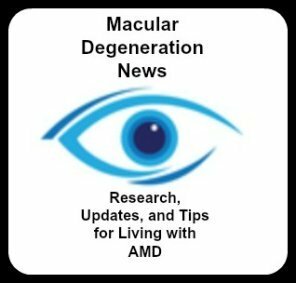 The presentation by Eric Tremblay at the The American Association for the Advancement of Science in San Jose, California February 13, 2015 caused quite a media stir for those interested in macular degeneration. An international team of researchers from Ecole Polytechnique Fédérale de Lausanne (EPFL) in Switzerland and the University of California San Diego have been working on this paired system with a variety of different applications in mind - from benefiting soldiers in the field to those with different types of vision loss. These special lenses would make it possible for the wearers to zoom in and zoom out simply by winking an eye. A right eye wink activates the zoom or magnification feature and a left eye wink deactivates it returning the wearers vision to a normal level. Blinking does not affect the function of the devices. Vision when in the magnified mode has been compared to looking through low-level binoculars. 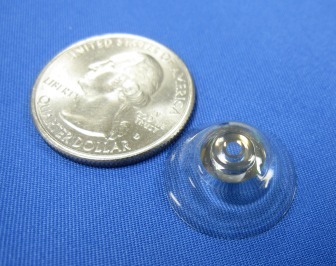 A tiny circular aluminum telescope is built into the contact lens which allows for images to appear larger. The lenses are thicker than regular contact lenses at 1.55 millimeter much like scleral lenses that are used for special eye conditions. "We think these lenses hold a lot of promise for low vision and age-related macular degeneration (AMD)," said the team's presenter, Eric Tremblay. "The new lens system developed by Ford’s team uses tightly fitting mirror surfaces to make a telescope that has been integrated into a contact lens just over a millimeter thick. The lens has a dual modality: the center of the lens provides unmagnified vision, while the ring-shaped telescope located at the periphery of the regular contact lens magnifies the view 2.8 times," writes Lyndsay Meyer in the article A Telescope For Your Eye: New Contact Lens Design May Improve Sight of Patients with Macular Degeneration. The paired devices have the ability to magnify not just objects but the entire view up to 2.8 times which could impact one's ability to see faces or read. 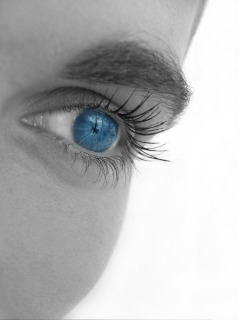 While the future hope is that those with vision loss from retinal diseases such as AMD will benefit from this new bionic vision, the Pentagon which supported the research, developed them initially for the purpose of providing American soldiers with bionic vision. The thick, rigid lens prototype was first revealed in 2013. Since then researchers have made improvements in the lens membranes and developing the eye wear to be more responsive and comfortable to wear for longer periods. Right now they can only be worn for a short amount of time. The next step is to develop an even lighter version of the smart glasses and to improve on the "breathabiity" of the lens to provide a steady supply of oxygen to the eyes. 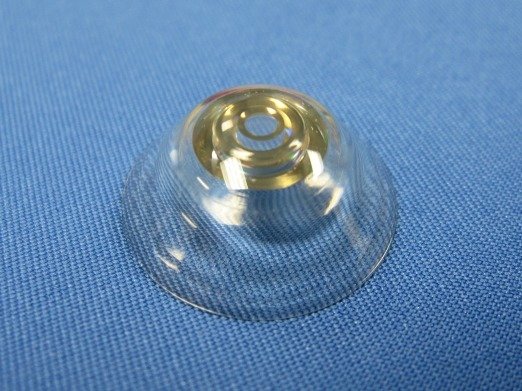 Tremblay says, "We are now trying to build the lens using standard contact-lens materials that are gas-permeable...these will ensure that the cornea is receiving plenty of oxygen and so can be used safely all day long." 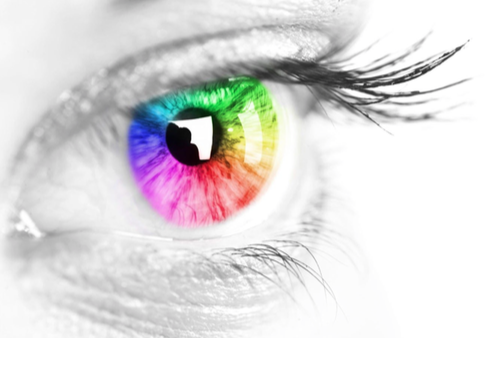 The possibility of a clinical trial beginning sometime in 2018 will move this low vision technology forward.